I am indebted to my friend, the cookbook author Elizabeth Andoh, for pointing me in the direction of these homemade treats which are a world apart from the commercial ones sold in jars. 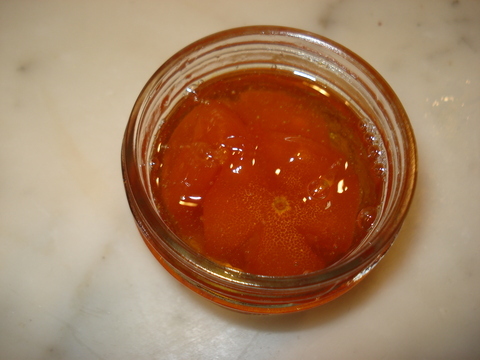 The kumquats are luminous, orange/amber, bright in appearance and flavor--very moist. I love them as an accompaniment to duck. The kumquats look like little lanterns, because the slashes made to release the pits open up during poaching. Cutting them in half to remove the seeds would be easier, but leaving them whole offers a burst of succulence. We just received a small shipment of kumquats from our friends George and Elisette Dirusso who live in Florida. They were from their own kumquat tree and are the sweetest I've ever tasted. Note the round as opposed to the usual oblong shape. I lost no time in candying them! With a small, sharp knife, make 4 small slashes in each kumquat and press them gently, inserting a toothpick to help remove the tiny seeds. Most of those that remain will come out during cooking. 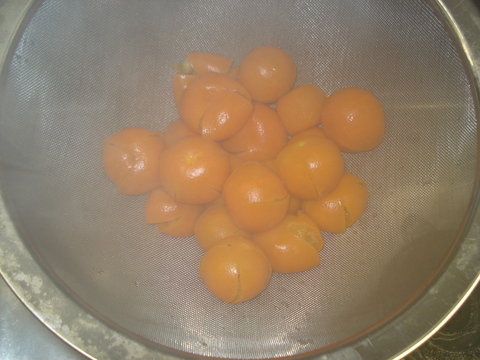 In a large saucepan, place the kumquats and cover them with cold water. 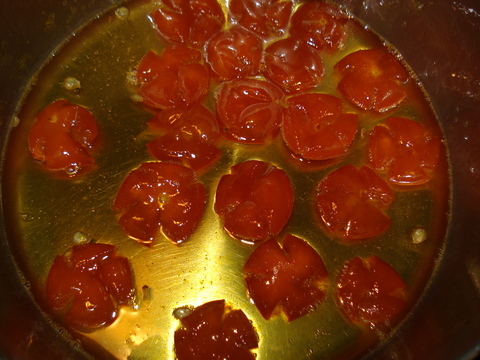 Bring them to a boil and simmer for about 10 minutes or until a skewer pierces the skin easily. 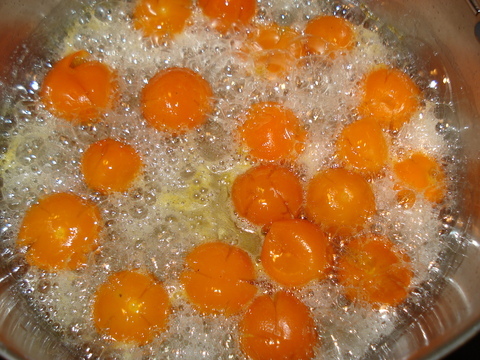 Drain the kumquats and rinse and dry the saucepan. 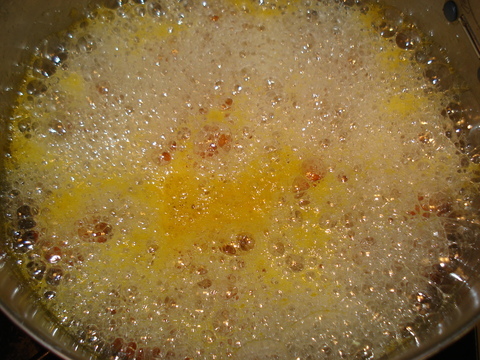 In the same saucepan, stir together the sugar and water until all of the sugar is moistened and bring the mixture to a boil, stirring constantly. Stop stirring and continue cooking for 1 or 2 minutes until the syrup thickens slightly (228°F). 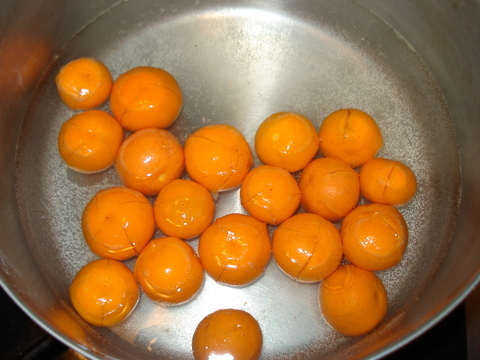 Add the kumquats and allow them to simmer for 10 minutes (the temperature still will be 228˚F). 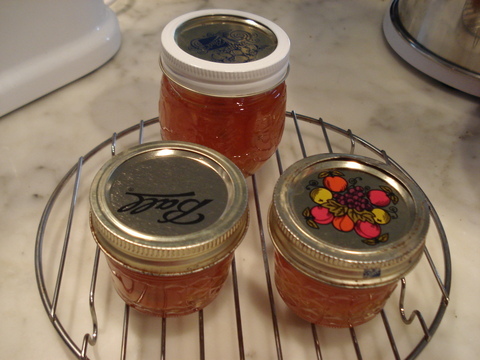 Remove the pan from the heat and transfer the kumquats to canning jars or a container. Pour in syrup to cover them. Any leftover syrup can be used to glaze the duck. Store: Room temperature 1 day, refrigerated up to 5 days, or can them according to manufacturer's directions. 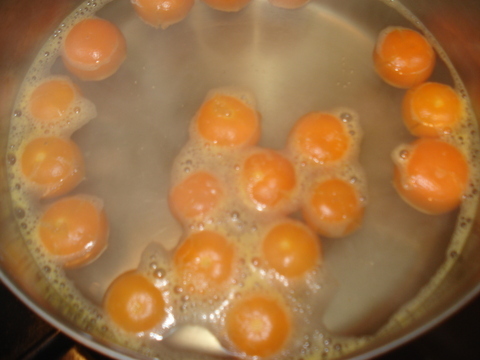 ♥ Use a large saucepan because the syrup boils up a lot after the kumquats are added.